When building a company culture, where do you start? Do you start with inspiration? A purpose? Can you get behind a cause and give everything you’ve got? 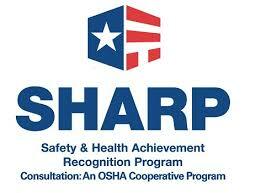 More importantly, can you inspire your team as well as your customers to feel your passion? Share a belief in your cause? In our last post, we provided a book review on the New York Times bestseller, “Start With Why“. The amazing book authored by Simon Sinek reveals stories of companies and individuals who truly inspire. This led to the question, does your WHY = Inspiration? In other words, should our inspiration define our WHY? If so, then we need to “Start With Inspiration”. Start With Passion. Start with an undying belief in a cause. The book “Start With Why” describes companies that inspire by revealing a strong purpose and belief. Simon Sinek also offers examples of historical individuals that inspire such as Ronald Reagan, Martin Luther King and John F. Kennedy. However, we don’t necessarily need to look back in the deep past for sources of inspiration. So far for 2019, what individuals do you feel “Start With Inspiration”? To “Start With Inspiration”, look no further than college athletics. Though Clemson’s shellacking of Alabama was impressive in the NCAA Football National Championship , they did not win our vote for first place. 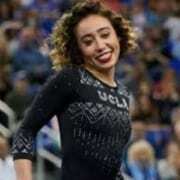 UCLA gymnast, Katelyn Ohashi earned our first place vote. Katelyn kicked off 2019 with an amazing floor performance. By the way, she scored a PERFECT 10. What came to your mind watching her perform? Tina Turner, Earth, Wind and Fire, the Jackson 5 and Janet Jackson for her song selection. Awesome playlist! As entrepreneurs is it possible to score a perfect 10 performance like Katelyn? Also, build a team with enthusiasm like Katelyn’s teammates at UCLA. Did you notice her teammates in the background? They are dancing, singing and cheering her on. Doing her moves with her while sharing her energy and enthusiasm. Even though gymnastics is an individual performance, the UCLA Bruins demonstrate what it means to be a team. Furthermore, Katelyn has overcome great odds to lay out that magical performance. “Katelyn Ohashi Was the Best Gymnast in the World, Until She Wasn’t” is a video that describes her troubled career as a gymnast. To close, we extend a big THANK YOU to Katelyn for her poise, grace, determination and PERFECTION. Katelyn defined how to “Start With Inspiration”. Most of all, we thank her for being her best self while having an absolute blast doing so. https://falconerelectronics.com/wp-content/uploads/2019/01/katelyn-1.jpg 200 267 Curt Anderson https://falconerelectronics.com/wp-content/uploads/2016/12/fei-blue-300x88.png Curt Anderson2019-01-25 07:07:422019-01-25 08:20:08Start With Inspiration: Did You See Katelyn Ohashi Perform?